Throughout the last phase, Hezbollah’s Secretary-General Sayyed Hasan Nasrallah disregarded all advices offered to him, as well as our wishes and both secret and public pledges for him to stop imposing his options on others. Hezbollah’s leader considered that all those tips are coming from “foes” and “nemeses” and did not accept to listen to any advice. In his latest speech in the wake of the Yemen crisis, it was clear that Nasrallah has been shocked by the “decisive storm” operation launched by Saudi Arabia and allies against Houthis in Yemen. 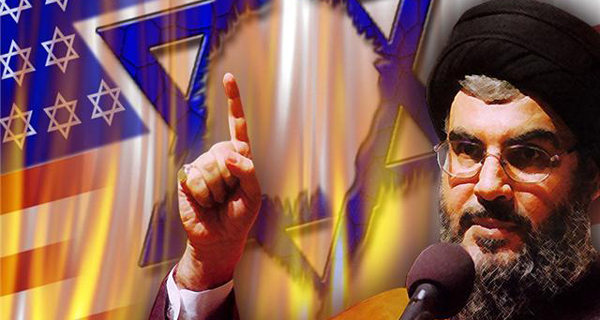 Nasrallah openly expressed his astonishment about the massive Arab participation in this operation as well as the mass Arab security and military as well as political preparations and capacities that came before, in line and after the launch of the operation. Perhaps this “blessed” shock is needed for Hezbollah’s followers and axis to wake up, and perhaps it has reached Tehran also. In Nasrallah’s speech, the gap between the facts and new happenings and Hezbollah’s leader words was clear. He condemned the intervention in other countries’ affairs forgetting that his party forces and members are invading villages and towns inside Syrian territories, and he addressed the issue of the rights of peoples to self-determination as if he did not contribute, himself and his party, in the heart of the equation and the change of regime which the Syrian people sought. Nasrallah refused and annulled all Saudi excuses to launch attacks on the Houthis, accusing it of accounting intentions, skipping over the fact that he’s fighting a “proactive” war in Syria. He dismissed the Iranian expansion and Iranian control of the region and disregarded statements by senior Iranian officials, talking about the Iranian Empire and its capital, Baghdad, using once again the cause of Palestine and the resistance. In his speech and to the contrary of his usual rhetoric, Nasrallah seemed unprepared and agitated and did not use his intimidation rhetoric full of threats and promises to “crush” opponents. Nasrallah has always disregarded advice, but as things have reached the edge now, we have to tell him to take a break and look around him. Perhaps the new operation would make him and his Iranian ally reconsider.